The biggest date in the AGI Scotland calendar has been and gone and this year’s Annual Event was one not to miss! Tuesday 27th Feb saw a record-breaking turnout for the AGI Scotland Annual Event which this year took place at The Lighthouse, Glasgow’s iconic Centre for Design and Architecture. Despite the snow, AGI Scotland welcomed a remarkable 150 delegates, 18 fantastic speakers and were supported by eight excellent sponsors (Gold: thinkWhere, Ordnance Survey, Informed Solutions and Europa Technologies, and and Silver: Verisk Geoinformation, CARTO, British Geological Survey and 1Spatial). In the near twenty years we have been organising an annual event for Scotland’s geospatial community this had the highest attendance. This year’s event had a dual theme; GI applications, where participants got a focused update on the latest innovation and developments in GI in Scotland and beyond, led by a highly graphical keynote by Joann Russell from Historic Environment Scotland. The second theme involved data, security and ethics, with talks ranging from the issues involved in data dissemination to preparation for the 2021 Census, with Don Smith from Dell SecureWorks worrying everyone in the room as to the extent of malicious threats coming from around the world. The event showcased a wealth of insight from Scotland’s most exciting organisations and initiatives pushing the boundaries of all things geospatial…a word made all the more resonant with the recent announcement of the UK Geospatial Commission. This year’s full programme can be viewed and downloaded here. Tuesday was a fantastic event, lots of new faces and a real buzz, with much discussion in the sessions, over breaks and at lunch. AGI Scotland would like to say a special thank you to everyone involved; without the support of our sponsors, willingness of speakers, and interest within the GI community, these events are not possible! Ensure you keep up to date with AGI Scotland’s news, events and other activities. And sign up to our blog! Another thank you from the AGI Scotland team to this year’s fantastic venue hosts and sponsors! 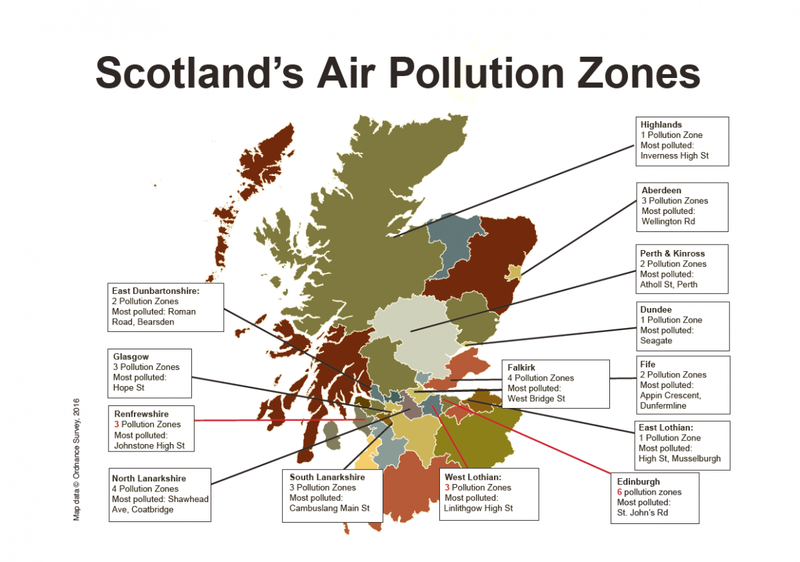 After the recent news from Friends of the Earth Scotland that there are now a total of 38 Pollution Zones in Scotland, up from 33 last year, we take a look at how geographic information, and particularly that created by citizens, is playing a role in our mission for breathe better air. Much of geography’s traditional role has been on air quality monitoring – enabling sensors with location information to help build up the map visualising the spatial variability of the usual pollutants: carbon monoxide, sulphur dioxide, nitrogen oxide and particulate matter (both PM25/PM10) – as well as air quality modelling – whereby we utilise various factors to forecast accurate(ish) predictions. Tech is seemingly everywhere these days and the Future / Smart Cities agenda is no different and with it, a new lease of life for Citizens as Sensors; empowering local residents with the tools to plug the gaps on data, particularly where environmental monitoring is concerned. For Geographers in the room who’ve read Michael Goodchild know this as Volunteered Geographic Information, or VGI (an essential read all the same!). With citizen science however comes the age old argument over data quality and relying on ‘the crowd’. Recent publications about citizen science from the Centre for Ecology & Hydrology and an EC Science for Environment Report highlight that fears over data quality can be mitigated by robust tools and can strengthen citizens’ data to inform policy and practice. When it comes to creating a smarter community-led air quality sensing network, there’s no been any short supply recently…DISCLAIMER: what follows is a run down of some efforts but there’s no favouritism intended here! One of the first kickstarter successes in this field was the Air Quality Egg, which enabled you to user connect an egg to your wifi (queue first ‘internet of things’ hint), collecting information on all the usual suspects using the fixed egg and sharing this ‘live’ to their platform. 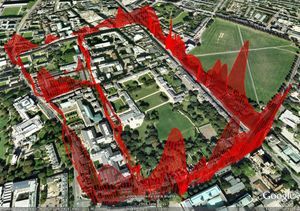 Another fixed solution which has impressed has been UCL’s ExCiteS department spin-off NGO, Mapping For Change, and their Air Quality Monitoring Project. Although seemingly exclusive to London and silent for a couple of years now, the project deployed fixed tubes around the city to provided hourly readings and uses a very nice map interface to help you explore these monitoring sites (NB: ExCiteS team, if you’re listening, we’d love to see that gorgeous custom Leaflet clustering method open sourced!). show the world how clean the air is around you! Since then the list of initiatives has grown rapidly, of course including wearable devices that hook into your phone as well as more and more internet-enabled devices. Aircasting is a notable offering; allowing users to acquire a wearable air quality device that tracks, shares and even visualises the air around you. 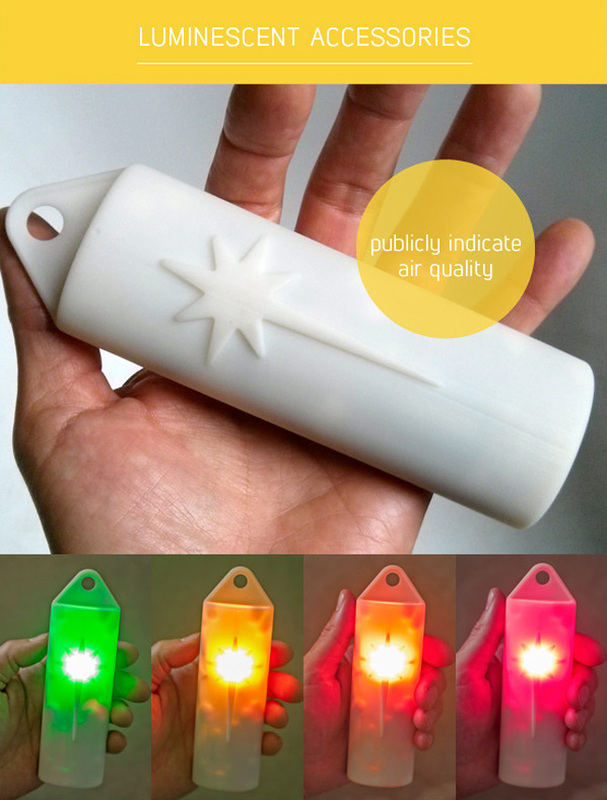 Visual displays of air quality is a fantastic awarenesss raiser, and many illuminating vests have followed however where AirCasting stands out from the crowd is that it has open sourced much of it’s app, making it possible to create your own custom-designed sense Arduino device! 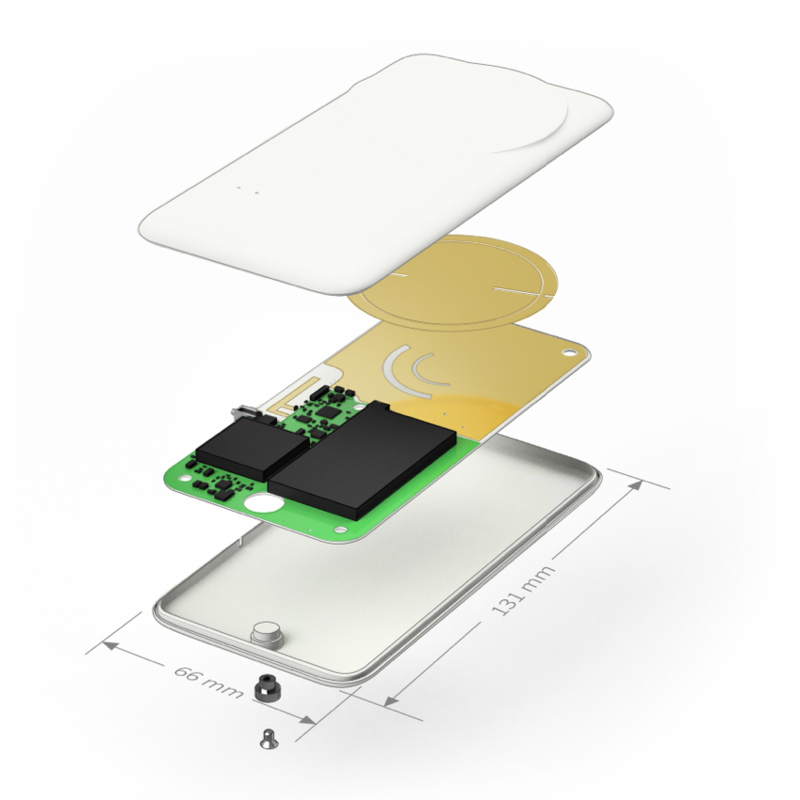 Freevolt: devices without batteries? yes please! Another favourite is CleanSpace, which is a free app for users but requires you to purchase an air quality monitoring tag if you want to contribute. The CleanSpace Tag is also a personal air pollution sensor but comes with some pretty high tech features, as it’s (supposedly the first device) powered by Freevolt, which uses wasted energy in wireless signals to power itself…undoubtedly something every smart watch owner wishes was true for their device. Whilst the plethora of new apps to get citizens involved with monitoring our environment can be seen as further engaging the masses to think more about issues like air quality, there remains an argument that this diversity of offering can in fact dilute citizens’ contributions, particularly where apps and agencies continue to operate in silos and not as ‘one geography’. With the rise of citizens’ digital presence (or digizens), perhaps now is the time to look at how we hone and align this vast knowledge and encouraging a new era of environmental action. Is 2017 The Year of 3D Geo? 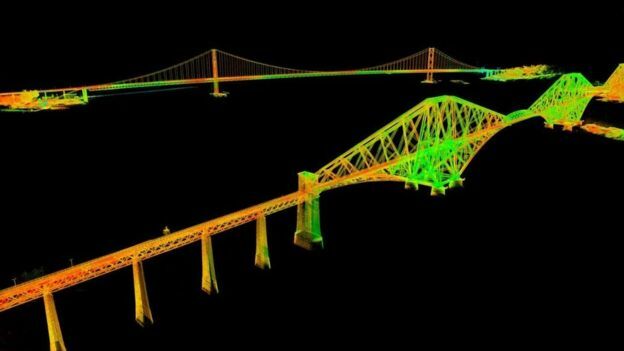 LiDAR scanning has captured the Forth Bridges in stunning 3D resolution and is being shared across educational bodies for use in interactive games, apps and virtual reality tours. The initiative is providing these datasets to encourage more interest in STEM (science, technology, engineering and maths) careers amongst young Scots and heralds an exciting time for 3D geospatial technology. With the arrival of next generation high resolution aerial imagery from satellites and drones, alongside the continued advances in open source tools such as CesiumJS, LASTools and Mapbox’s new 3D features… is 2017 shaping up to be the year in which 3D geospatial goes mainstream?